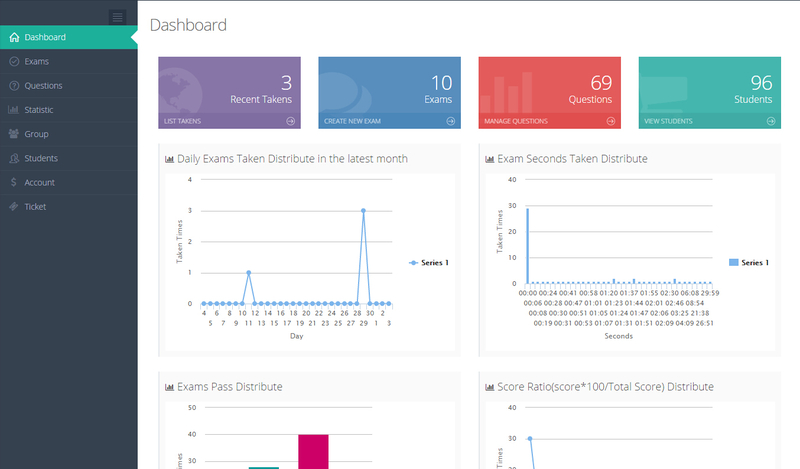 Easily create LAN quizzes, secure tests, exams and assessments for students or employees. Advanced options like free quiz templates, data security, automated grading and powerful analyze report makes it ideal for corporations, educational institutions and even users looking to create quizzes just for fun. Receive detailed reports and statistics for your quizzes to analyze the performance of your learners. You have many questions in your questions bank, you can now select randomized questions to your exam. LanExamMaker support student self register to a group, after registration, student can login and do the exam, manage the taken result, and view the questions have done right or wrong.